A lot of people are very worked up over the Nunes memo. Most liberals see it as an obvious hit job on the FBI to protect President Trump (I’m in that camp) while conservatives seem to view it as an attempt to shed light on some very troubling allegations against an agency that’s supposed to be above politics. Jay and I chose not to discuss the memo on this Saturday’s show (February 10), because we’re waiting to see if President Trump authorizes the release of the Democrats’ rebuttal memo. When that happens – or if it doesn’t – you can be sure that we’ll be talking about it. To me, this is largely a distraction. 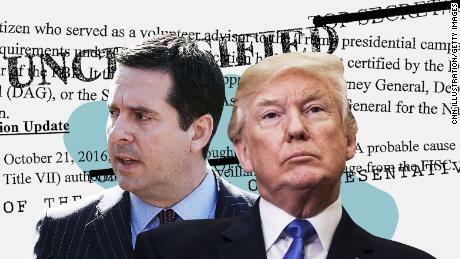 Any memo written by only one party for public consumption is going to be so partisan that it will be nearly worthless. The sort of information I’m interested in is what the parties involved *don’t* want the general public to see. At some point the various congressional investigations will conclude, and final reports will be issued. But if these are also party-line affairs, I don’t see things changing all that much. I do hold out some hope for the Senate, which seems to be slightly less riven by partisanship than the House (at least on the intelligence committee). Here’s how I think this applies to the whole Trump / Russia saga. Because much of the Republican Establishment turned away from candidate Trump, he surrounded himself with second, third, and sometimes fourth-stringers. These people may be very bright, but many of them were political neophytes. And because running a major party presidential campaign and then running an administration is so incredibly difficult, they made plenty of mistakes. Mistakes like meeting with Russians – something almost no experienced, high-level political operative would have done. And even smart, experienced politicians routinely screw up by covering up what turn out to be minor offenses. Clinton with Whitewater is the classic modern example, as well as Nixon and the bungled break-in at the Watergate Hotel. “It’s not the crime, it’s the cover up.” is one of the hoariest of clichés, but we hear it so often because most politicians instinctively try to hide even perceived transgressions, instead of getting out in front of them before they can do real damage. I think they do this largely because of hubris. These are people who, by and large, have been enormously successful throughout their lives and have incredibly high opinions of their abilities. This is accentuated by electoral politics, which rewards massive self-confidence and selects against caution and humility. I have no idea how this will all play out, though I suspect that the Democratic base will force an impeachment vote if the Democrats take the House this November. Barring a true smoking gun from the Mueller investigation (or President Trump firing Mueller), there won’t be enough votes in the Senate to convict and remove the president. That might be for the best, because in the end I’d probably prefer the blustering incompetence that’s characterized much of the Trump administration to what would assuredly be a far more organized and efficient Pence presidency. Then again, if President Trump ends up starting a shooting war with North Korea, my preference for him over Pence will be tragically wrong. But as things stand, and media freak outs notwithstanding, I feel fairly confident that President Trump won’t lead us into a war with North Korea.